Malm, thank you for the Turtle analyses. Does that mean that Turtle can pop up even though there are some bars left on the fuel gauge? I'm afraid that my approach to battery longevity is a bit more conservative than yours, as in over 75,000 miles amongst our three i-MiEVs we've never seen Turtle, rarely go above 14 bars, and almost never go below two bars. Yes, turtle can certainly pop up with some bars left. It happened to me in 2013, when it was getting its capacity wrong. With 1 bar it could show turtle for a second and after few meters it would stop without energy. But that will happen to very few i-MiEV owners, because usually the car recalibrates its remaining capacity from time to time. Just when the battery suffers an high rate of degradation is a short period of time (8% lost in 3 months, because of extreme hot conditions and frequent use at high speeds, for example), this can happen. 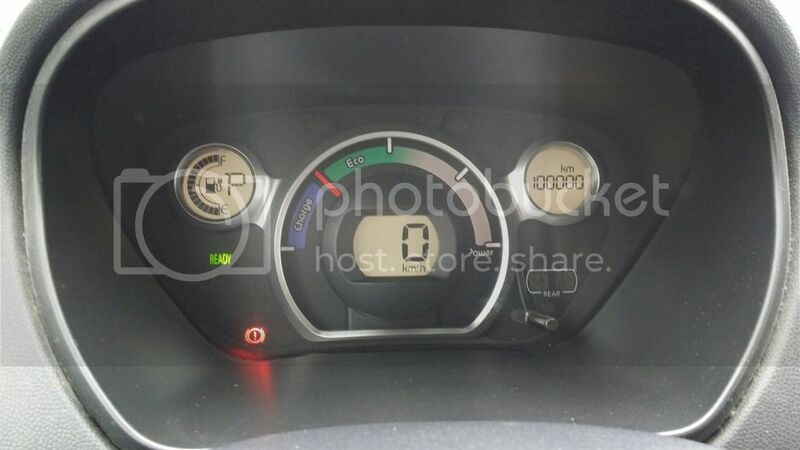 hkbob123 - "Hello everyone, I am come from Hong Kong ,my iMiEV is right hand drive HA3W. I have a critical issue that my car apear "turtle" light while the battery status still have 2 bar flashing,I still keep low speed driving then become "battery logo" light and shut down after 200 meter drive,anyone know that issue related to battery or emu program?Thank you very much!" With Rosacastillion, I believe the car was stopping with some bars in the gauge, and a high value of mRR (that's how I understand - "indicated overly optimistic mileage"). He doesn´t say it, but I believe the car showed turtle some seconds before stopping. I agree avoiding going under 20%. It will be certainly good to the battery. I just do it because its the way to know how much my turtle values, and that gives me hints how the degradation is evolving. If I didn´t do this type of discharges, at least once an year, how could I know if I have turtle, and how much miles can I do with it? Just gives other security to know how things are at low SoC. I usually charge to 100%. Well, just let it charge until it stops. 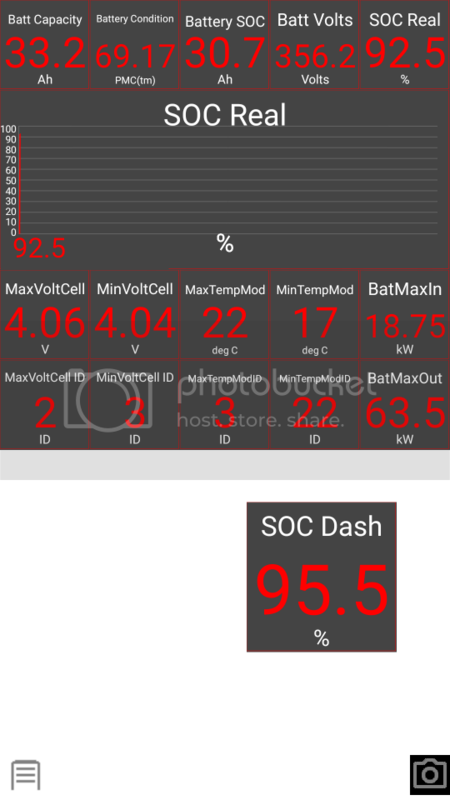 I see many times that it says 100% SoC in the end, but cell voltages are not as high as they should be. Some times it shows 100% SoC but only 4,08V in the cells (and not the 4,105V that we should expect). On the other end, i-MiEV cells, I believe, could charge up to 4,2V. 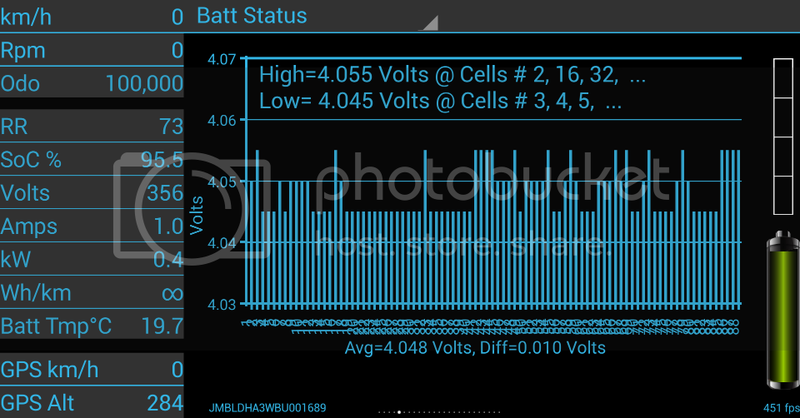 I saw sometimes my cells charging to something like 4,13V, when I travel downhill after a full charge. So, I believe the car has its protections to high voltage in the cells, so I keep that work with it. What I don´t keep with it is the temperature control, it simply doesn´t do it unless at a quick charge. Last edited by Malm on Sun Sep 11, 2016 9:37 am, edited 1 time in total. With the fight against degradation centered in temperature control (and very little in other things), I believe capacity loss went down to a value arround 2,5% an year (in the last 2 and an half years). That is fantastic because between 2011 and 2014 it was arround 6%/year. Variation of battery current capacity, values obtained from the car, with MUT-III and EvBatMon, in 2016. I believe a good management of pack temperature is the main reason for this incredible low loss of capacity in 2016. It was an hot 2016 summer, but with AC cold air going down to the pack when temperatures were going up, that wasn´t any more a problem. Only less 0.6 Ah between 1/1/2016 and 31/12/2016. And today still 33,4 Ah. Congratulations also! 100,000km = 62,137.119 miles. Had me worried with your opening remark, as I was afraid something bad had happened with that dashboard warning showing. Congratulations, 100,000 km is definitely a landmark achievement. Just recently hit this mark.